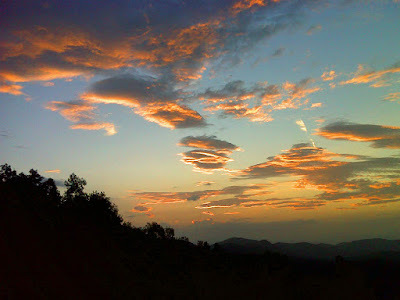 Sunrise from the Mills River Valley overlook, launching point for one of the original segments of the Shut-In trail. 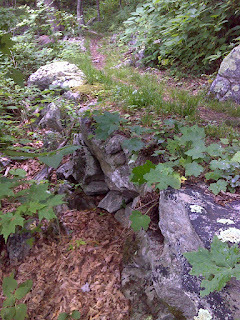 Just follow the trail east from the overlook and watch for the stone work on the steep side-hill sections. George Washington Vanderbilt's original Biltmore Estate was big. It included hundreds of thousands of mountain acres around and west of Asheville, NC. It was so big, in fact, that when he built a carriage trail from one end to the other it was seventeen miles long. It connected the Biltmore Estate's main grounds near the French Broad River at 2000 feet elevation with his Buck Spring Hunting lodge at 5000 feet elevation near the present location of the Pisgah Inn. The Mountains to Sea Trail follows the general route of the Shut-In trail from end to end. The problem is that much of the original route of the trail has been lost, probably due to logging and other activity after the land was sold, mostly to the US Forest Service, and especially to the ravages of progress. 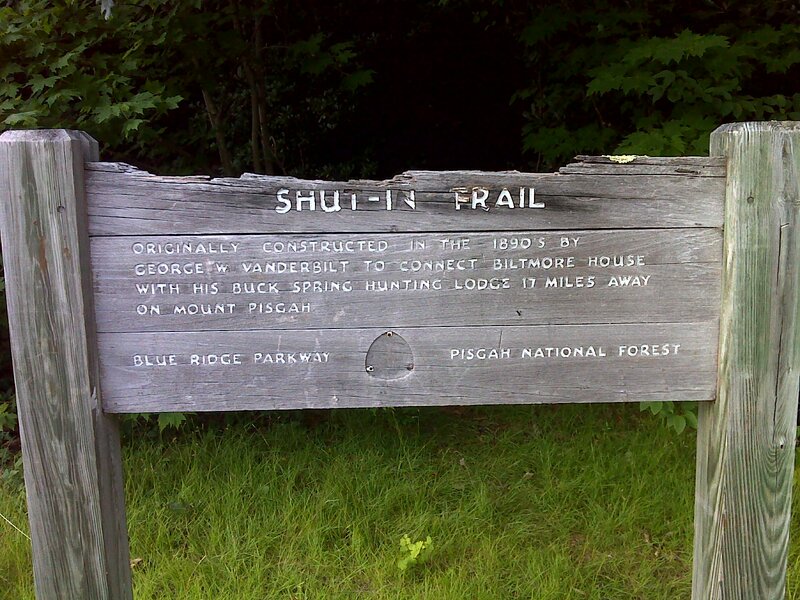 When the Blue Ridge Parkway was built, I'm sure that parts of the original route were destroyed. But a few sections of the original carriage road do survive. The photo above is not much to look at, but it's the best example I have of the original stonework that buttresses the trail. There are just a few miles of original trail still identifiable by this construction technique--something volunteer trail builders do not have the time or resources to do these days. I wish I could learn more. 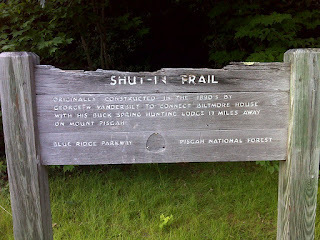 When I hiked the Appalachian Trail in the White Mountains I was fascinated by all the various stories of the trails in the area. The grand-daddy of them all is the Crawford Path from the Mt. Washington Hotel up to the summit. 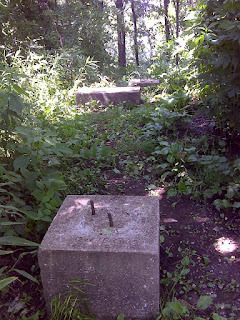 Parts of this trail have been in continuous use for more than 200 years now. Unfortunately Vanderbilt did not live long, and it appears that the Shut-In trail was not in continuous use after his death. I've asked several sources for more information on the early history of the trail and of its evolution, but have little to no concrete information. 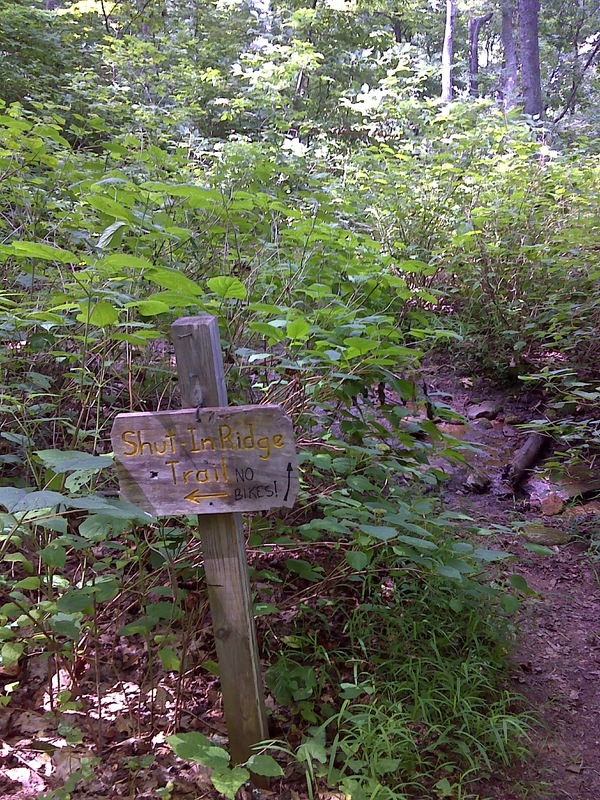 The Shut-In trail was built way back then, and what we hike today still has the same name. The name comes from the rim of ridges that it follows, which 'shut in' (make remote) the series of valleys to the north. Parts of today's Shut-In Trail clearly do not follow any logical carriage road. 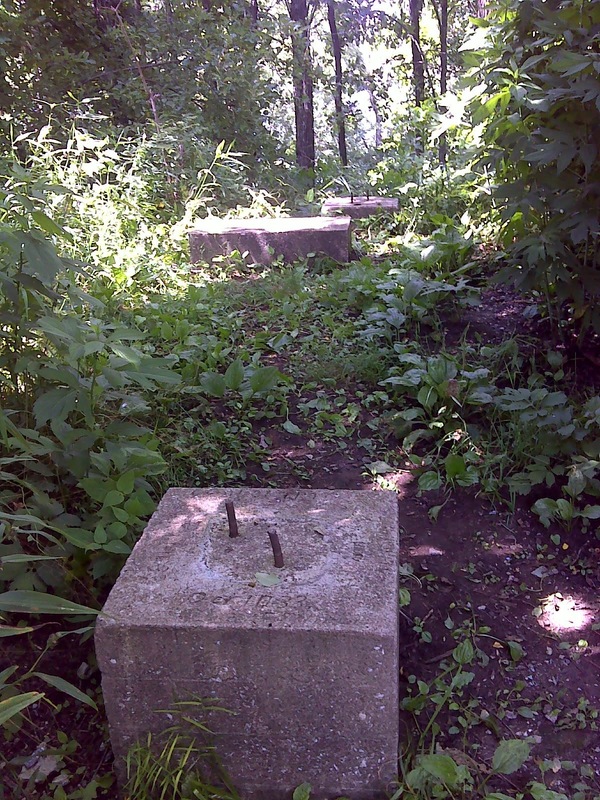 For example today's trail goes honking straight up to the summit of Ferrin Knob following the fire tower access road (the fire tower has been dismantled - the foundation footings are all that remain--see above). I doubt seriously if Vanderbilt was interested in having his horses and carriages do such Pointless-Ups-and-Downs. The segments with the stone work follow contours around the peaks rather than going up one side and down the other. There's one sign along the trail that, I think, makes the distinction. Today's trail is rightly called the 'Shut-In Ridge Trail', and makes no real pretense that it is the same as the old original trail. I'll have to leave it at that. Below is a map of the route of the current trail, along with some return-leg walks along the Parkway.